Interventional Radiology physicians, nurses, and technologists come together to discuss research, techniques, and devices. This annual meeting focuses on improving outcomes and advancing IR. 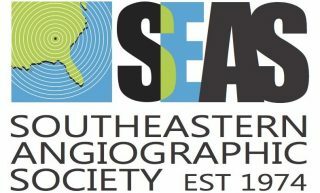 The event is organized by SEAS (the Southeastern Angiographic Society). SEAS was founded by a group of Radiologists looking to establish a forum for collaborative discussion in the new and emerging field of Interventional Radiology (IR). The annual meeting continues today as one of the marquis scientific exchanges in IR. Attendees benefit from hearing from some of the outstanding thought leaders in the field. They will hear a wide array of topics in minimally invasive procedures treating numerous medical conditions throughout the body. The meeting is smaller than other national IR meetings, which allows for a freer exchange of ideas and discussions that ultimately will allow us to better serve our patients. Discuss the broad spectrum of procedures performed by Interventional Radiology. Express the importance of evidence based medicine and quality of life measures as they relate to IR procedures. Be familiar with the latest IR Technologies and Techniques. Have a greater understanding of the clinical parameters surrounding patient selection and potential pitfalls for a variety of IR procedures. The Southeastern Angiographic Society is open to any physician who practices Interventional Radiology. It has a strong commitment to education, and offer scholarships for free meeting registration attendance to IR trainees.